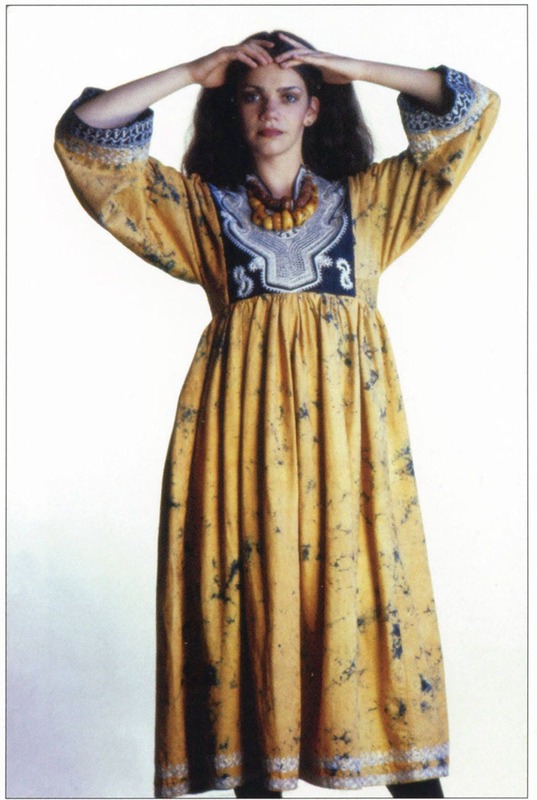 The women of nomadic tribes in Afghanistan wear this extremely full-skirted above-ankle-length dress. 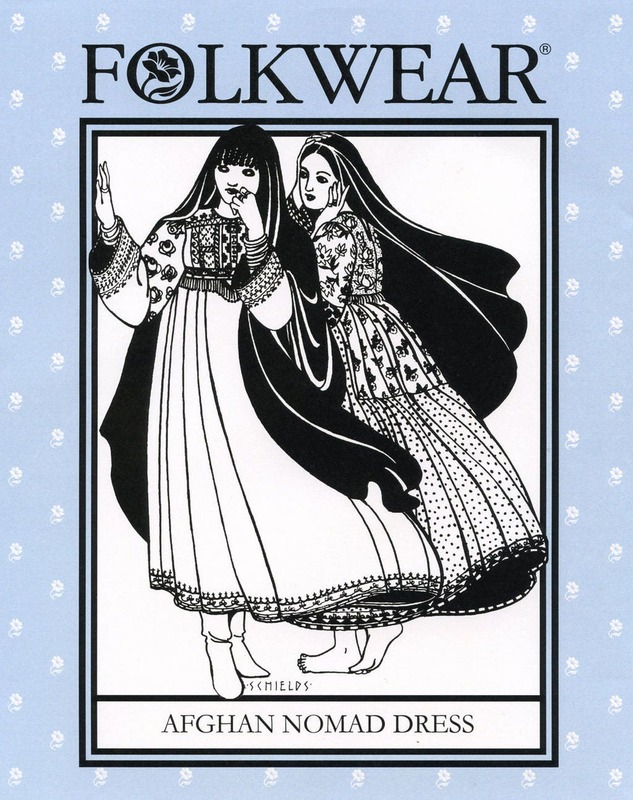 The tight high-waisted bodice, with an opening in the back, is connected by a front waistband and underarm gussets to the skirt and to the full three-piece sleeves. The skirt is gathered by a double line of even stitches, forming tiny, unpressed pleats; it has two tiers in back. Exotically romantic as a party or wedding dress. 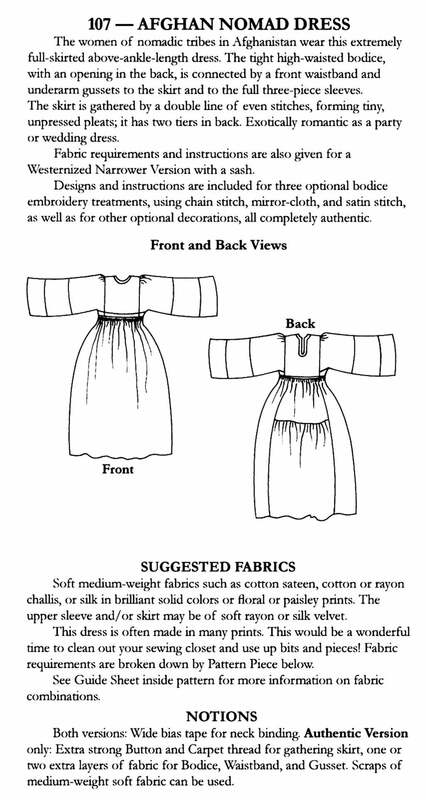 Fabric requirements and instructions are also given for a Westernized Narrower Version with a sash. 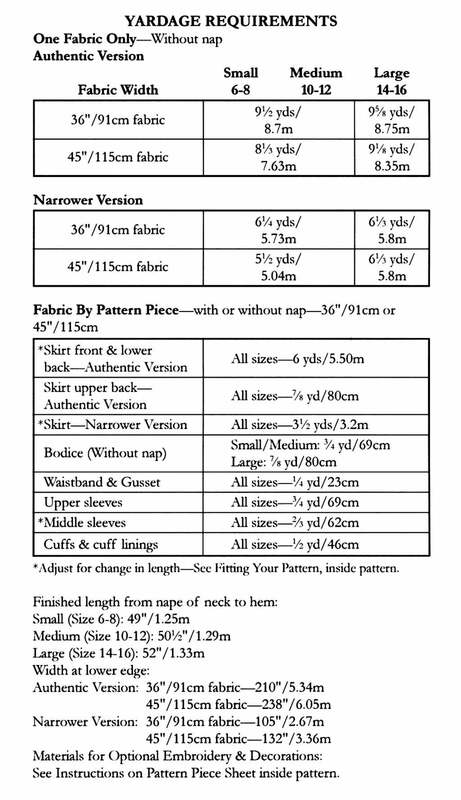 Designs and instructions are included for three optional bodice embroidery treatments, using chain stitch, mirror-cloth, and stain stitch, as well as for other optional decorations, all completely authentic.